One of the most important supporters of the clinic was 72 year old Josephina Torres. Mrs. Torres was like a grandmother to the clinic. She brought over platters of enchiladas and chiles rellenos to feed us. Her smiling face, quick wit, and encouraging advice helped enliven and inform the staff. I adopted Mrs. Torres as the kind, loving grandmother I’d never had, and I became her doctor. One day while carrying some heavy bags out to her car, she fell off the sidewalk and injured her ankle. The pain and swelling were so profound, we took her to the emergency room immediately. While no fracture was found on X-ray, she had suffered a severe sprain. I wrapped her ankle and prescribed the routine medication given for such trouble in the early 1970s, aspirin with codeine. While walking home from the clinic that evening I suddenly thought: What have I done to my Latina grandma? Inflammation is the key to any structural healing, but aspirin is an anti-inflammatory drug that will slow down her healing process. And codeine will decrease her awareness of the ankle pain, which is her body’s way of stopping her form walking on it. I knew Mrs. Torres would start using her ankle as soon as possible. She would express her gratitude for the care I had rendered by standing in the kitchen cooking up a delicious platter of my favorite tamales. And her healing was slowed anyway because of her diabetes. It seemed to me I had made everything worse. I asked myself: Hasn’t humankind come up with anything better than aspirin with codeine for the treatment of severe sprains? That simple question provoked by my love for Mrs. Torres initiated a sincere and studious inquiry into the variety of health practices used throughout the world. I read about herbalism, naturopathy, chiropractic, Chinese medicine and acupuncture, Ayurveda, homeopathy, et cetera. I was skeptical of some and found others incompatible with my non-philosophical mind of those days. As homeopathy had grown out of the Western clinical scientific tradition I decided to study it for a few years to see if it would be useful. I soon joined a study group and was on my way. I first treated my friends for their injuries and minor problems, and found homeopathy to be an aid in soothing pain and encouraging healing. 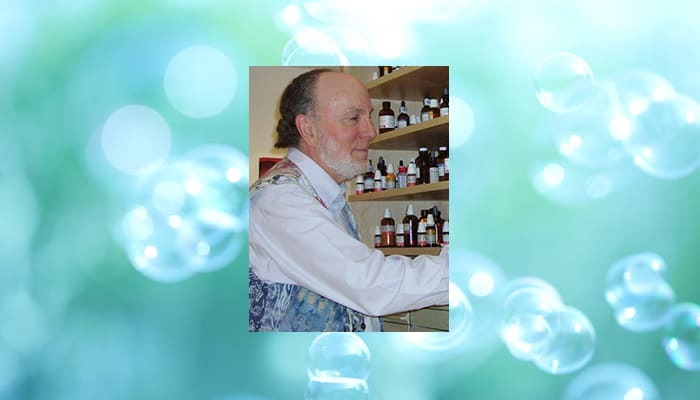 I saw the immediate power of homeopathy when I gave a friend a single dose for her nausea of pregnancy and saw her faint, only to quickly awaken and be relieved of her distress. Soon it was clear to me that I was not only studying new medicines, but I was learning a new approach to health and disease. I was learning natural healing. My life and worldview would be altered forever.